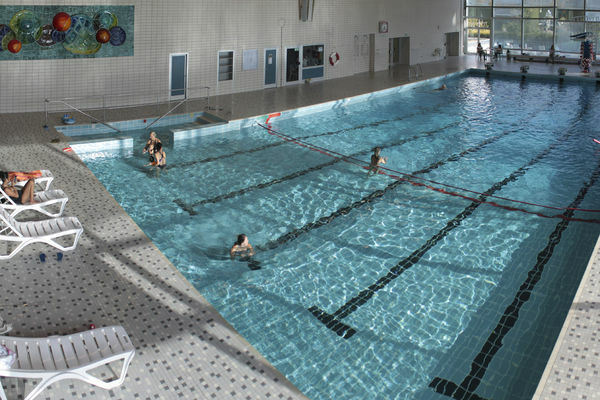 Baignade dans les lacs, piscines extérieures et piscines. 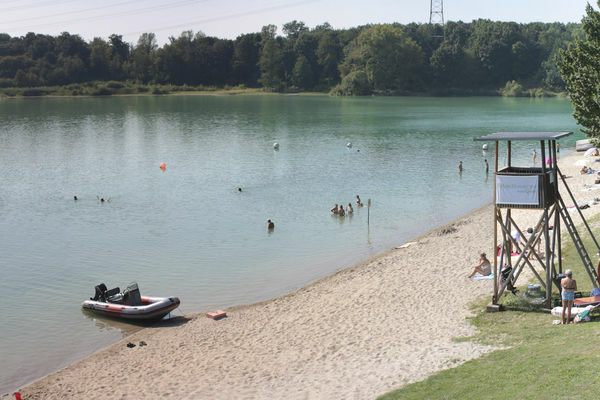 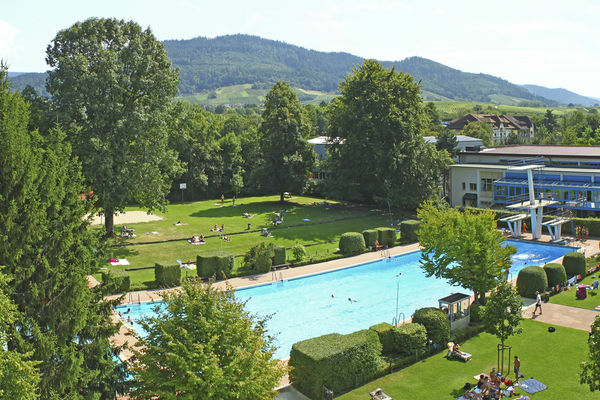 Bathing lake with beach and sunbathing area. 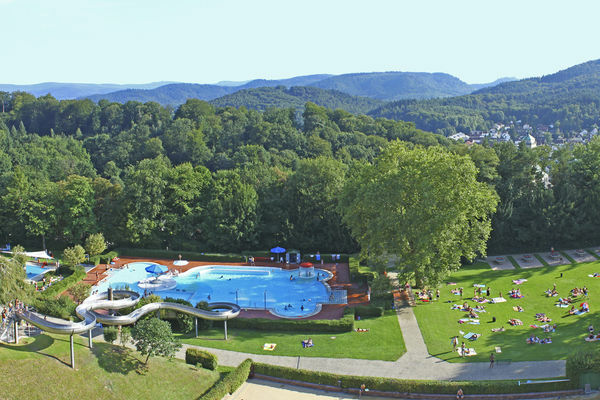 Solar heated outdoor pool with diving towers!